Finding yourself in a dilemma due to grammar rules while writing is quite embarrassing. No one wishes to get stuck in this situation. 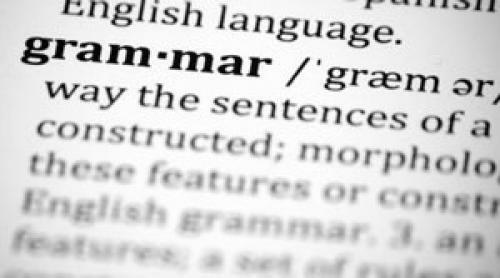 Though, grammar is tricky, but you cannot make your writing sophisticated without learning it. Do you always wish to have someone around you to do grammar check of your writing? Do not worry; you are not the only one. Many who are learning English always wish to have an English teacher to correct them whatever they write. However, it is not possible every time. Why do not you take the help of the tool that does grammar check free? It corrects your piece of writing and highlights your mistakes. The finest thing is that you come across where you committed wrong. You must use a free online grammar checker to make your text errors free. Here, some of the most common mistakes have cited below. They are words that hold different meaning, but sound the same. Before using them, you must come across their meaning. If you use the wrong word instead of the right one, it can bring the value of your writing down. They are the two-word form of verbs like to read, to watch, to call etc. Split Infinitives happens when you place an adverb between TO and A Verb. · She used to diligently teach him. · You have to really write a book. Some individual thinks that it is grammatically incorrect and one must avoid it. They might go for writing the sentence once again by eliminating TO in these sentences. But still, it has not been justified. Since it is still a topic of discussion among the intellectuals, you must avoid it in formal writing. Many beginners make this mistake belong to the use of "That." You must keep in your mind that never uses "THAT" when you are going to indicate towards a person. · "THAT" is used for referring objects. · "Who or Whom" is used for referring individuals. Using THAT instead of WHO/WHOM means insulting them. When it comes to writing something happened in the past, you need to add "ED" to regular verbs. The verb having ED in the end highlights that something occurred in the past is talking about. But this rule does not go with all verbs and that is why you need to expand the aura of knowledge. It seems a bit tricky, but constant practice can make you a master of this thing. If you keep these rules in your mind while writing, your command over this language will get increased.